Our negotiators have been trying to promote our position around the meeting, including a botched attempt in a science discussion yesterday, when they were interrupted halfway through a blatant PR presentation. They were told to get back to the issue at hand (science, not promotion of a country’s so-called “efforts”), after a number of governments objected to our highjacking the agenda. Right now, our ballooning emissions are on track to be at least 36% above 1990 levels – instead of the 5% below 1990 that we’ve promised, and they’re going to continue going up. In short, we’re in trouble. And we’re going to get hammered for this next week. But let’s turn for a minute to our efforts to actually solving this problem at the global level. At the centre of NZ’s proposal for the Paris agreement is the notion that while elements of the global deal should be legally binding, targets for cutting emissions should not be legally binding. Everyone should just add up what they feel like doing, put them in a schedule, and the sum total should be the agreed global target. And the national targets should not be legally binding. This proposal drew praise from Obama’s climate envoy Todd Stern a few weeks back, and the idea is also supported by a band of the most recalcitrant countries on climate change: Australia (where “coal is good for humanity”) and Canada, home of the tarsands, who have, like NZ, walked away from the Kyoto Protocol. This is the EU’s negotiating position on a global deal. The EU is one of the few who have actually put a target on the table – with a cut of 40% below 1990 levels by 2030, so they are backing this with action at home. But here’s a funny thing about New Zealand’s proposal. NZ’s “unconditional” target is to cut emissions by 5% by 2020 (below 1990). We have spelled out a specific set of conditions under which we’d improve this to 10% – or even 20%, although these two improved targets tend to cause hysterical laughter if one looks at our emissions projections. That seems reasonable, right? On the face of it, it looks like NZ’s keen to keep to this globally agreed temperature limit (even though we know 2˚C of warming will wreak a fair level of havoc on the planet). However, there appears to be a discrepancy between our conditions – and what we’re actually proposing for a Paris agreement. And this discrepancy has been pointed out by none other than the New Zealand Treasury. We are holding out on increasing our international commitment to climate action because we want to see a strong 2020 agreement that keeps the world on a below 2˚C pathway. Yet even Treasury says our proposal for the Paris agreement will not achieve this. Have our negotiators had a brainfade? Did they forget what they agreed just a few short years ago? Or do they have instructions to do their best to avoid a 2˚C pathway so that we don’t have to increase our target? Perhaps next week’s questioning could focus on this issue. I look forward to the event. 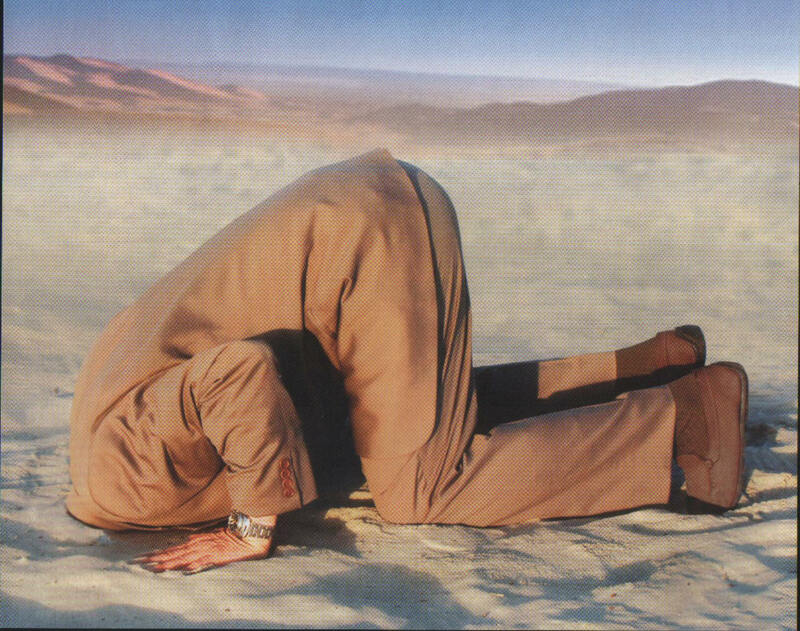 But one thing is clear: our Government has its head firmly planted in the sand on climate change, as activists across the country will be pointing out on Sunday. Pingback: » Toe to toe with the Prime Minister: Where’s our plan? Years ago I worked out there is only one target – get rid of emissions every way one can starting yesterday. Now if I had followed our government’s lead what would I have achieved so far? I think New Zealand’s diplomatic negotiating position is more akin to do as we say not as we do. Unless it’s in the future like climate change or retirement.